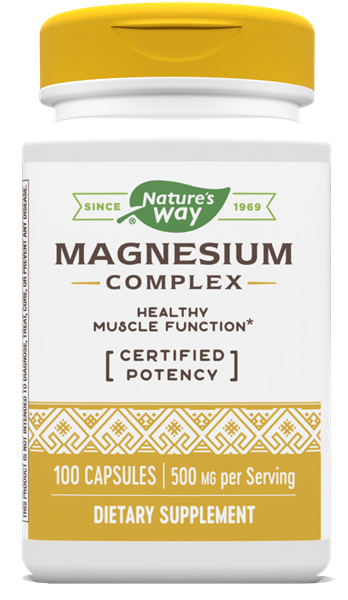 Magnesium / 100 Caps - Nature's Way®. Magnesium mediates proper muscle function (including the heart) and is essential for cellular production of protein & ATP. * Our Magnesium is tested and produced to superior quality standards. Take 2 capsules daily, preferably with food. If pregnant, nursing, or taking any medications, consult a healthcare professional before use.